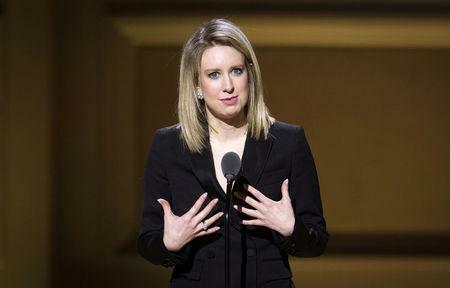 (Reuters) - Theranos Inc founder Elizabeth Holmes and the embattled blood-testing company's former president were indicted on charges that they engaged in schemes to defraud investors, doctors and patients, the U.S. Justice Department announced on Friday. "This conspiracy misled doctors and patients about the reliability of medical tests that endangered health and lives," FBI Special Agent in Charge John Bennett said in a statement. The indictment also alleged that Holmes and Balwani made numerous misrepresentations about Theranos' financial condition and prospects. Balwani, who worked at Theranos from September of 2009 through 2016, had also served as chief operating officer and was a member of the board. In a statement, Theranos said Holmes would remain chair of the company's board and David Taylor, the firm's general counsel, had been appointed CEO. Lawyers for Holmes did not respond to requests for comment. Jeffrey Coopersmith, Balwani's attorney, said his client had committed no crimes. "Mr. Balwani looks forward to trial because he did not defraud anyone, and it will be an honor to defend him vigorously," Coopersmith said in a statement. 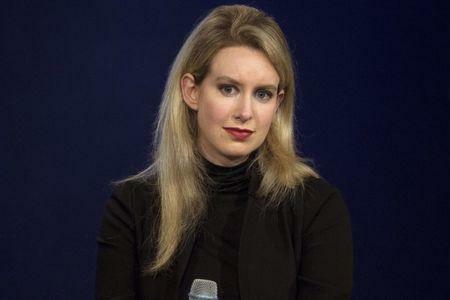 Holmes, who started Theranos at the age of 19, was celebrated as a rising star of Silicon Valley until it became clear that many of the claims about the company's supposedly revolutionary blood test were bogus. In 2015, the Wall Street Journal reported that Theranos' devices were flawed and inaccurate, setting off a downward spiral for the company that had bagged investors including venture capital firm DFJ, Walgreens <WBA.O>, media mogul Rupert Murdoch and Oracle <ORCL.N> co-founder Larry Ellison.